After seeing many drool-worthy pictures from Akane Sushi on my Instagram feed, I found an excuse for The Fiance and I to meet a friend there for dinner. While the sushi was as delicious as the pictures promised, the entire experience was shaky with non-existent or rushed service. 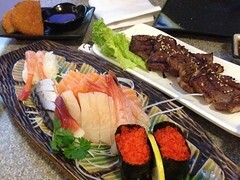 Atmosphere: Located in a strip mall full of restaurants on Highway 7, Akane Sushi was easy to spot from the street. Surface parking was limited but there was plenty of additional spots underground. When we arrived at 6:30pm on a Saturday, the restaurant was 80% full with two large families and a table set up for 10+ people along the wall. This left a handful of booths available and seats at the sushi bar. We were seated at one the booths and a queue stretching outside the restaurant quickly formed. 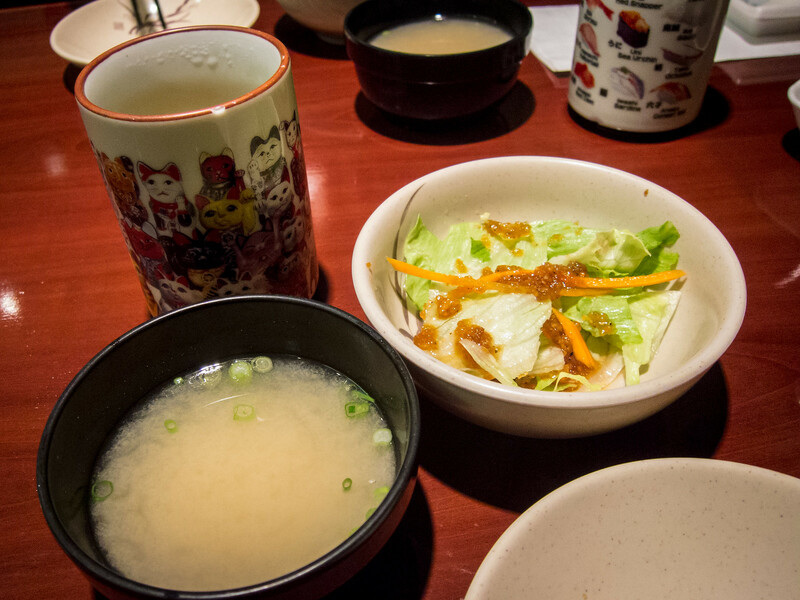 The restaurant decor and setup was standard of most casual Japanese restaurants in the GTA. Service: Although there were empty tables when we walked in, we weren’t seated for a good 10 minutes. At the time, there were supposed to be two servers taking care of the dining area but one was in the kitchen prepping and the other was handling take-out orders. This left everyone in the dining area, diners already seated and those waiting to be seated to fend for themselves. Literally 20 sets of eyes was watching the one server check out the take-out order and waiting. Not the best start. Then, once we were seated, there was still only one server taking orders, serving dishes, clearing plates and taking care of all the tables. Tables were missing orders and it was almost impossible to get her attention for more utensils or tea. Once the second server was out of the kitchen, service did pick up. I’m not sure if they were understaffed in the kitchen but it was rocky start to dinner. As tables calmed down, our server was friendly and chatted with my friend in Korean. 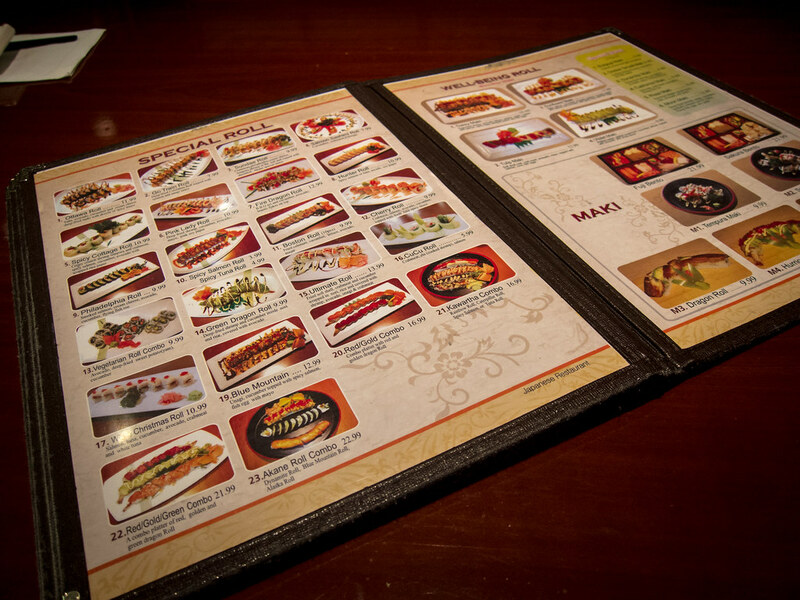 Food: Where Akane shined was in their sushi. Despite the less than stellar service, I was happy at the end of our meal. 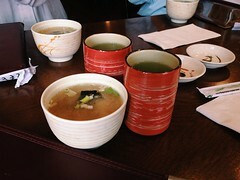 Complimentary tea, salad and miso soup was served regardless once we had placed our order. Also complimentary was half a grilled salmon head. 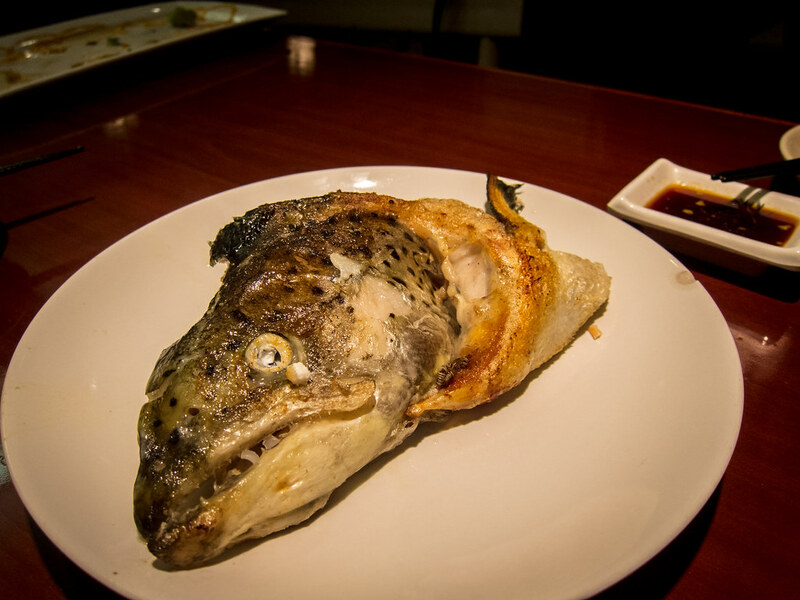 The fish was fresh, very tender and had no fishiness at all. This was a great treat and I liked the use of the entire fish. Between the three of us, we ordered a Seaweed Salad, Ultimate Roll and Love Boat B. For $3.99, the portion of wakame was generous and a great value. 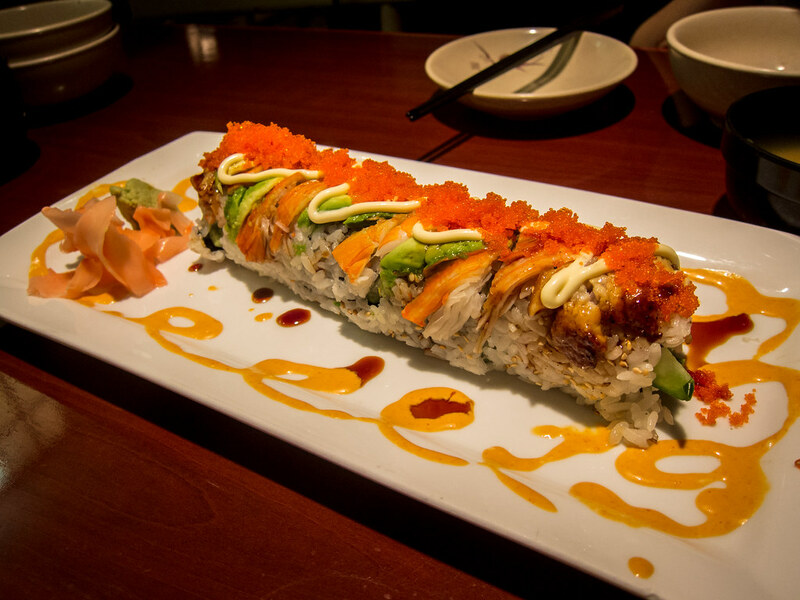 The ultimate roll was filled with fried soft shell crab, crabmeat and cucumber and covered with shrimp, avocado, unagi, tobiko and crabmeat. This was delicious. Swirls of spicy mayo decorate the dish and we swept up every drop. Both the filling and toppings were generous and the fried crab was fresh and crunchy. 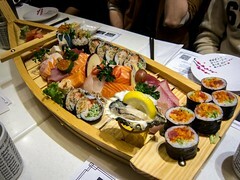 Love Boat B came with 33 pcs of sashimi, 18 pcs of nigiri and 12 pcs of maki. For three people this was a lot of food, but we (mostly me) managed to finish every bite. 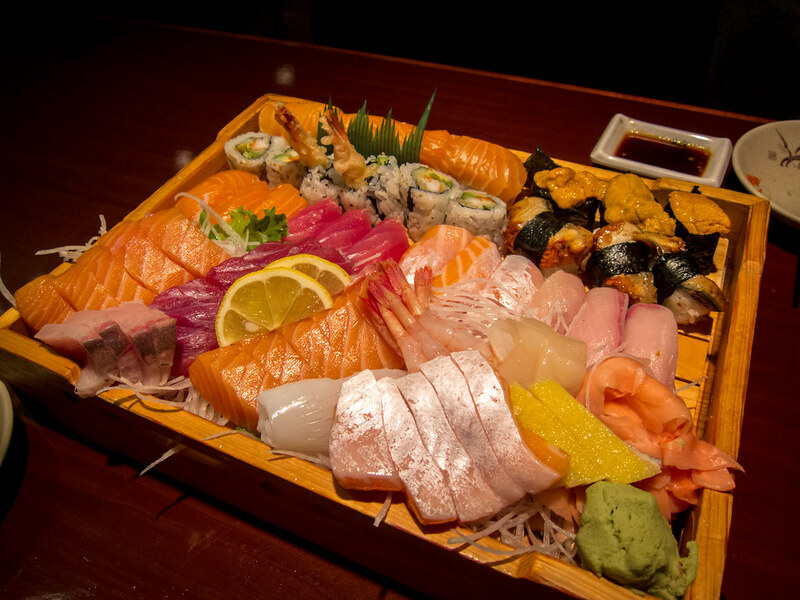 The 18 pcs of nigiri included 3 each of uni and unagi. While the unagi was on point, the uni wasn’t the best that day. With three pieces of each type of nigiri, the split was perfect for our group. 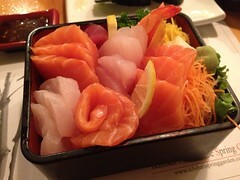 All of the raw fish was fresh, excellent quality and cut in generous portions. I loved the inclusion of scallop and sweet shrimp, my two favourites. Akane was also generous with their salmon and tuna and didn’t include any white tuna on our boat. The two rolls were a simple dynamite and rainbow roll, both had perfect ratios of rice to filling. 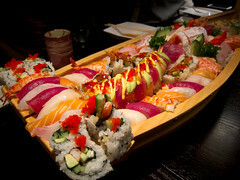 With patchy service, Akane Sushi was redeemed by the excellent quality of their sashimi and generally tasty food. I’m still not 100% convinced on a return sit-down visit, maybe during non-peak hours. Take-out for sure and not with a large or impatient group.